Discussion in 'Soundgear' started by wasgedn, Sep 10, 2018.
are these the memory...are thesefully expanded ? how can i check how much ram they have,i think there was 2mb and 8 mb cards available or even bigger ones? is this for internal hdd ? wtf...here i need realy some information...its an s3200 not an s3000...whats hs and ls? the display is a changed one..so its good..thats cool...anyway negative tri axxis black display is coming one day..
"The S3200 uses custom memory Akai part #EXM3002 (2Mb card) and #EXM3008 (8Mb card). 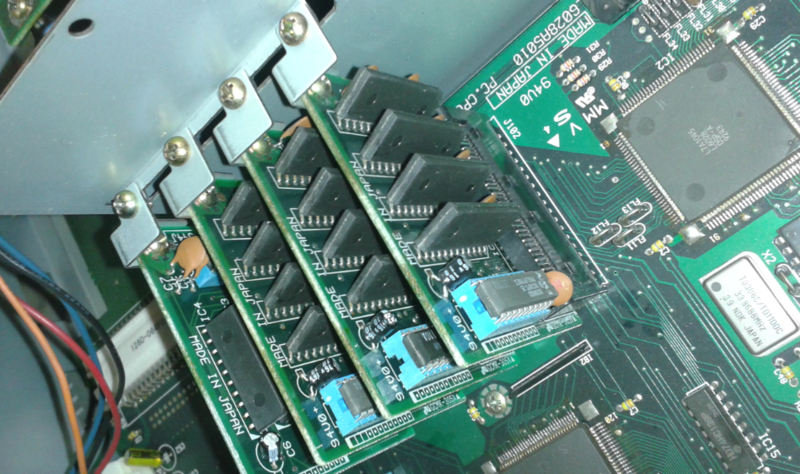 8Mb stock (one EXM3008 installed into one memory slot ) – 4 memory slots total – can be updated to 32Mb via four 8Mb expander boards (EXM3008). You can mix any combination of EXM3002 and EXM3008. Memory is displayed in Megawords (equals 1/2 the amount of Mb). EX: 4 Megawords = 8Mb." for me it looks like you have 3x8 & 1x2 MB plugged right now.. It's been a long time since I had to open mine, but if I remember correctly P204 is occupied by an additional DSP - FX and Filter option. That's really good to have. That filter reminds me of Akai MFC42 rack filter. It's nice. I wouldnt bother with a scsi drive, far too noisy and limited. Get a Scsi2sd. Heh , Thas a blast from the past. , ,They use the same ram on them models , 3000 ,3200 ,3200xl etc. But i believe n12no prob answered best as i couldve atttempted..
,Im still rather Bias tho ,Even after all these years , Im all bout Emu e- series,. 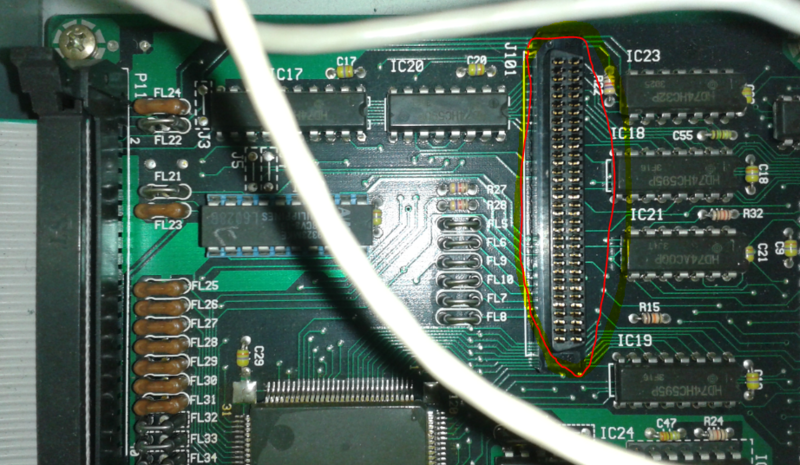 Just realised that i learned sumthing there... ,heh , "n12no ,i stand corrrected regardin ram compatability"
thats cool bout scsi2sd...very cool to not have to solder a bus or what ever its called on to the board..s2000 is where you have to solder it i believe..
@SineWave to you kno if team os win7 lite and ultra lite have firewire driver enabled ? ?on tmos site i get no response...I also tried my own lites of xp and 7 but i failed..
when i never want use a lan cable and im offline can i turn off all network related services...maybe some network service is needed for hooking up usb and firewire devices or sort of stuff..
but i have feeling this guy sold me an s3200 with s3000 os....could this be...i have chorus,pitchshifter,echo and delay...there must flanger too or ? to you have a fan in yours sinewave ? The prices for backlight replacement for these machines are somehow ridiculously high so I decided to go the cheapest route and installed some LEDs from an old broken laptop. I'll include the old inverter and the EL strip as well. It's not the prettiest looking screen but it gets the job done, at least for now. will Akai IB304F 2nd LSI Filter Board fit into p204 ? That filter reminds me of Akai MFC42 rack filter. It's nice. 4. Rename the file - "wnaspi.dll" to "winaspi.old"
Apix.vxd - (in IOSUBSYS) is needed and can be left as is. 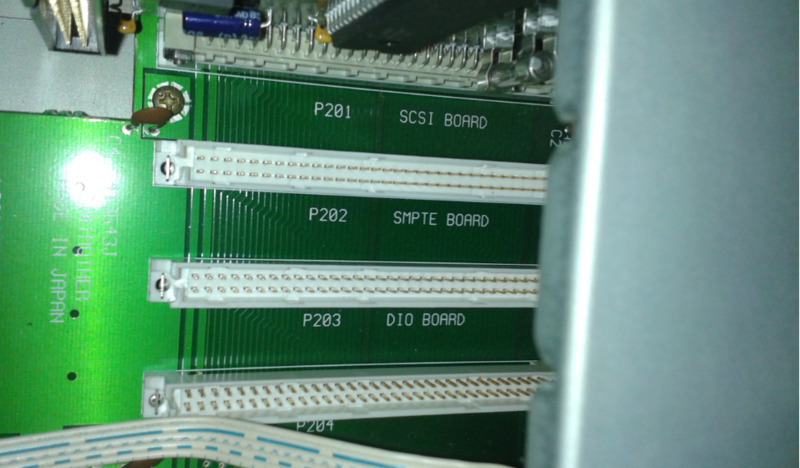 SCSI host adaptor (usually ID 7). symbol - this is normal. how much mb need a longer basspatch in hardware samplers.....? ?